Join us for a wonderful family Christmas day out at Gardens by the Bay this December! Gardens by the Bay will be transformed into a magical Christmas Wonderland with lots of colours, lights and fun filled activities for the family. With registration fees from only $3, visit out SAFRA Christmas Village at Silver Leaf (activity centre) and treat your loved ones to a fun evening at the carnival packed with fringe activities and lots of exciting giveaways. There will also be stage performances, fun games and magic shows, plus a chance to meet Santa Claus! Each family package sign-up will be entitled to a goodie bag. •	Event Passport for Carnival and Fringe Activities and redemption of freebies. Registration closes on 14 Dec. More details on http://www.safra.sg/sfdo. 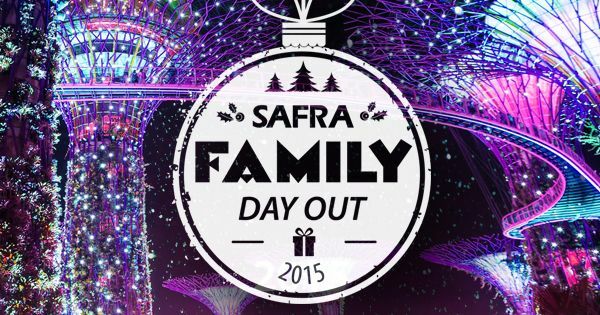 Contact us at 6377 9865 or email to spevents@safra.sg.